Don’t let the pigeon drive the BUSSSSSSSSSSSSSSSSS! My kids used to love it when we got to that part. I would scream at the top of my lungs and they would laugh until it hurt. That’s why I had to give a blog shout out to Mo Willems as he celebrates his pigeon’s 10th birthday. This month, fans can take a drive down memory lane with three classic Pigeon titles at a smaller trim size with the It’s a Busload of Pigeon Books! box set (retails for $15.23 on Amazon), featuring an original poster illustrated by Mo Willems. It’s a Busload of Pigeon Books! (Pub Date: April 2), $24.99—Climb on board for super fun reading with three picture books starring the famous bird! 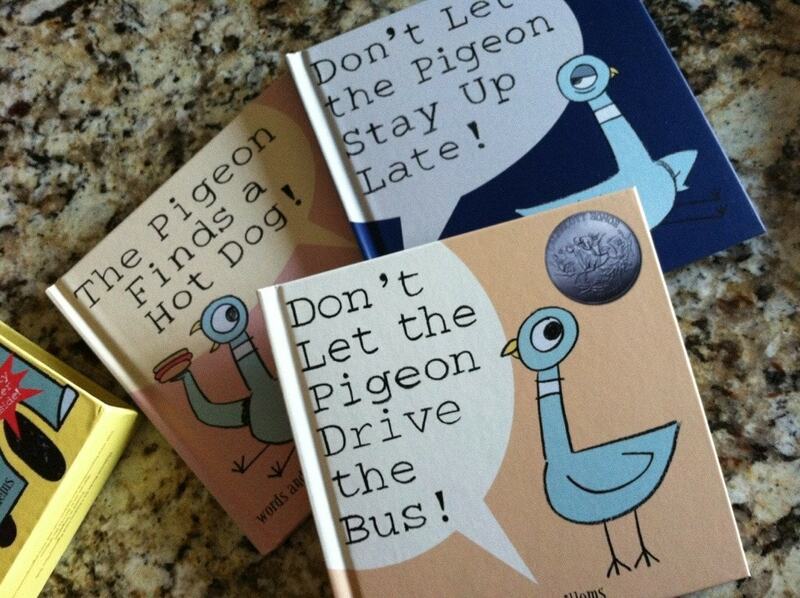 The boxed set includes three favorites: Don’t Let the Pigeon Drive the Bus!, The Pigeon Finds a Hot Dog! 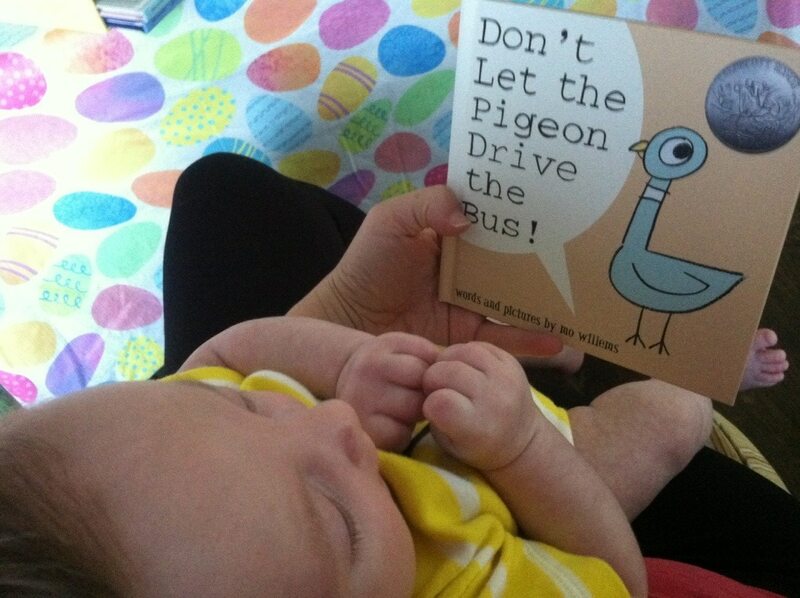 and Don’t Let the Pigeon Stay Up Late!, along with an original poster illustrated by Mo Willems with activities on the reverse side. Mo is also coming out a few new titles!! · Don’t Pigeonhole Me! : Two Decades of the Mo Willems Sketchbook (Pub Date: June 18), $40.00—Young readers first met the Pigeon in 2003. But Pigeon was born many years earlier in the pages of a Willems’ sketchbook. This new adult coffee table book is a 20-year compilation of characters, scribbles, and ideas. These sketches have always been the well from which Willems draws ideas and inspiration. Featuring a foreword by Eric Carle and an introduction by Willems, this volume includes all twenty sketchbooks from the last two decades. · A Big Guy Took My Ball! (An Elephant & Piggie Book) (Pub Date: May 21), $8.99—Elephant and Piggie, Willems’ Geisel Award-winning duo, will also have a new tale of their own. Gerald and Piggie, a curious pair, are best friends. Piggie is devastated when a big guy takes her ball. Gerald is big, too . . . but is he big enough to help his best friend? Love Mo, although in person he’s a tiny bit scary. My fave is “Leonardo the Terrible Monster” (my husband’s name).